Congolese Music / Re: FERRE GOLA'S BAND REHEARSING,NEW SINGERS & NEW DANCES,FIRE!! Congolese Music / Re: OFF TOPIC : US BASED FORUM MEMBER. any londoners female members here? any UK based members here? Oui, toza nakati ya masolo ezo Leka awa !! 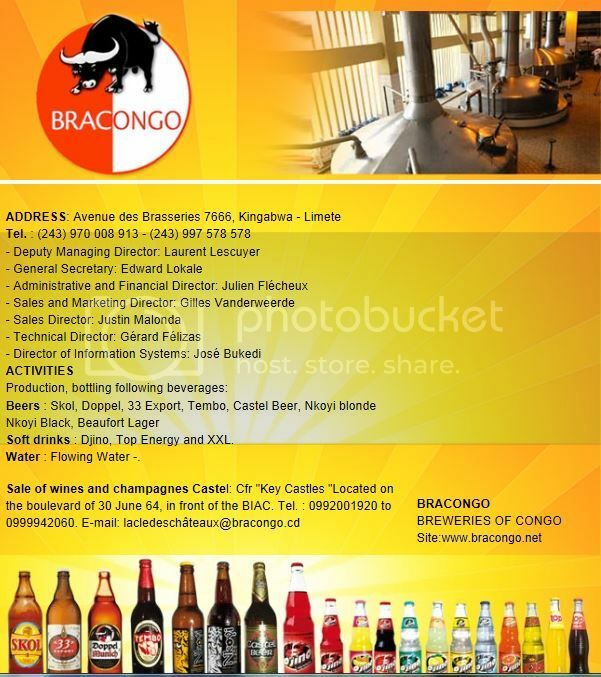 No,Bracongo still sponsors his programme, Bracongo are the marketers for XXL Energy drink in Congo. no mate, it was the other way around....that animation was created by Muana Congo but Ferre gave it to Bercy. Boite Noire is Kunzardo's generique and Bercy was given the Coupe Decale one and kibombanda generique was a mix and Bercy used Kiriki animation on that one aswell. It was originally done by Bercy. Bercy did nothing on Boite Noire.....the concerts work were just noise and freestyles that has no sense and couldn't be used as a proper animation in the album.